I have been loving Lightspeed Magazine’s special issues (Women Destroy Science Fiction!, Women Destroy Fantasy!, and Women Destroy Horror!) over the last year, so I’m very much looking forward to digging in to Queers Destroy Science Fiction! In addition to their importance from a representational standpoint, they’re helping me to relearn my early love of magazines and short fiction (Little Professor Books used to be the only place around when I was a kid that carried a good selection of SFF magazines, and they went out of business here about twenty years ago). Mostly, though, Lightspeed just puts together damn good work, and with Seanan McGuire guest editing, I have high hopes for this issue. We’ll also be getting Queers Destroy Horror! and Queers Destroy Fantasy! by the end of this year. For more on the Queers Destroy Kickstarter and projects, click here. 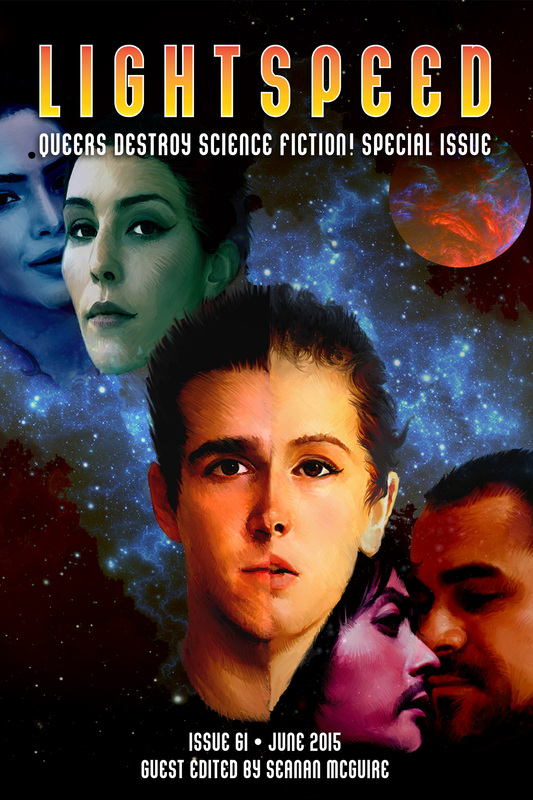 In the meantime, Queers Destroy Science Fiction! is available now for just $3.99.